This week I have been on holiday on the Isle of Skye in Scotland. It's been a beautiful week, it feels almost like another world! I have more photographs to share from my week here but for now here is the view out of my window this morning. 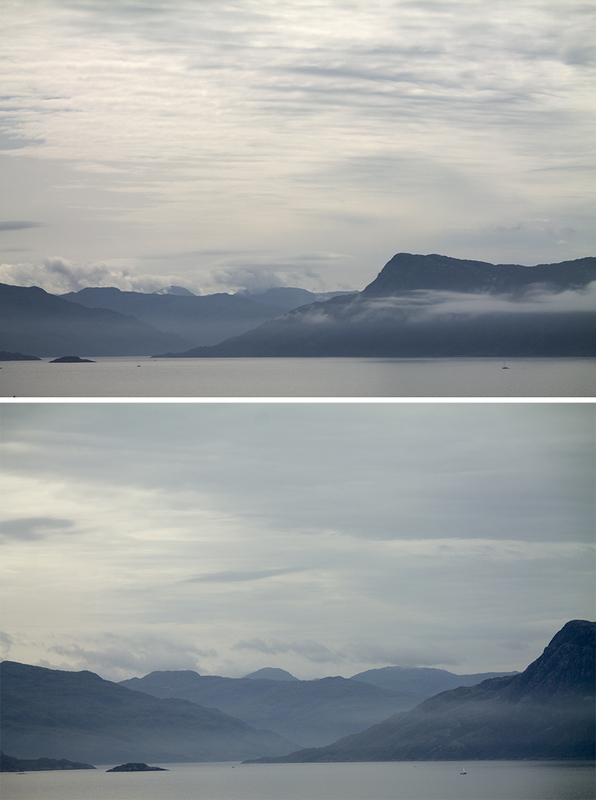 That is actually the Scottish shoreline across from Skye that we can clearly see from our cabin. .